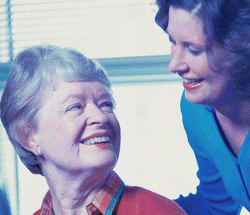 PRN is a licensed private home care provider in the state of Georgia. PRN is a nursing registry that provides referral services for Registered Nurses and Licensed Practical Nurses to clients in homes and hospitals in the Atlanta Metropolitan area. We refer nurses who are committed to assisting patients with quality, safe, and loving care. PRN is a locally owned and operated company that has assisted families for over 35 years. We are fully insured, licensed under the Georgia Department of Human Resources, and also an active member of the Georgia Association of Community Care Providers. For additional information about PRN, contact us today at 404-233-7119! Professional Registry For The Northside, Inc.
454 East Paces Ferry Road N.E.